Please send me more information on HH Off Plantation at, Hilton Head Island Thank you. There are a multitude of both single-family home and villa complexes available in a full gamut of prices and sizes. Some are more geared to private residences such as the Point Comfort area where 90 property owners enjoy a private pavilion, park, deep water access and beautiful sunset views of Calibogue Sound. Nearby, Ashton Cove is a private gated, single-family home community with beautiful views at affordable prices. The south end Island location also includes popular villa complexes at Broad Creek and nearby Palmetto Bay Marina, which provides a mix of residential condominiums and townhomes, a full-service marina, eateries, shops and breathtaking views of Broad Creek. Mid-Island features Yacht Cove, a newer mixed community of single family homes and villas. The north end of the Island has a number of off-plantation homes and villas that are more ocean oriented, including the Bradley and Burkes Beach areas, which include the Islander’s Beach Club. The Beach City Road area also has multiple villas complexes offering breathtaking views. The Singleton Beach area offers newly built oceanfront homes that provide beachfront living without the gated community prices. Near the north side of the Cross Island Expressway, several distinct neighborhoods are located off Spanish Wells Road and Jonesville Road. Some of these neighborhoods front marsh and tidal creeks and enjoy solitude, away from popular tourist hotspots. On the far north end, the oldest and most historically significant areas of the Island can be found. The Wild Horse Road – Gumtree Road – Squires Pope areas are home to some of the Island’s original dwellings, built long before the bridge. This area contains an eclectic mixture of newer and older homes and villas, with lovely scenery in a pristine setting. Many small developer communities have sprung up in this area, affording a property owner new construction at moderate prices, close to Hilton Head schools, as well as north end shopping and dining. How many active real estate properties are currently listed for sale in HH Off Plantation , Hilton Head Island? Currently there are 273 listed for sale. 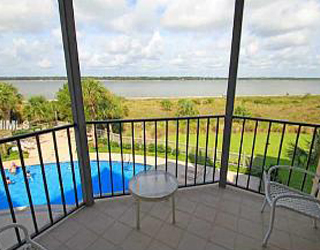 Are there any foreclosures currently for sale in HH Off Plantation , Hilton Head Island? No, currently there are no active listings in HH Off Plantation with a foreclosure status. 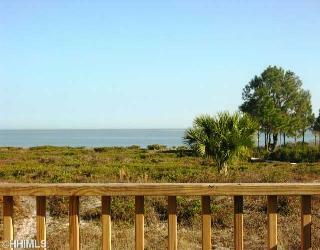 Are there any short sales currently for sale in HH Off Plantation, Hilton Head Island? No, currently there are no active listings in HH Off Plantation with a short sales status. What is the price range and average price for residential homes in HH Off Plantation ? The price range of the 108 listed homes for sale in HH Off Plantation is between 235K and 5,500K. The average price is 806K. Click here to view all residential home listings in HH Off Plantation. What is the price range and average price for residential condos and villas in HH Off Plantation ? The price range of the 95 listed condos and villas for sale in HH Off Plantation is between 13K and 439K. The average price is 205K. Click here to view all residential condos and villas listings in HH Off Plantation. What is the price range and average price for residential land and lots in HH Off Plantation ? The price range of the 70 listed land and lots for sale in HH Off Plantation is between 40K and 1,995K. The average price is 245K. Click here to view all residential land and lots listings in HH Off Plantation. What amenities a buyer should expect to find in HH Off Plantation ? What kind of views a buyer should expect to find in HH Off Plantation ? The first bridge from the mainland to Hilton Head Island was built in 1956. Since that time, the Island’s housing market has evolved from one as diverse as multi-million dollar oceanfront estates in gated communities to the wonderful brick and mortar cottages of the early days located in some of the still-quiet remote corners of the Island. 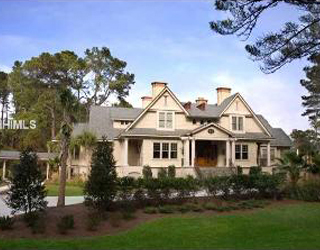 Off-plantation is a blanket definition used to describe any property located outside of Hilton Head Island’s larger, gated communities. Off-plantation buyers are typically motivated by savings on regime fees and less restrictive covenants. Off-plantation living provides most of the amenities and lifestyle options available to the residents of planned communities, and many residents find the off-plantation lifestyle to be more causal and relaxed, in addition to usually providing more bang for their real estate buck.